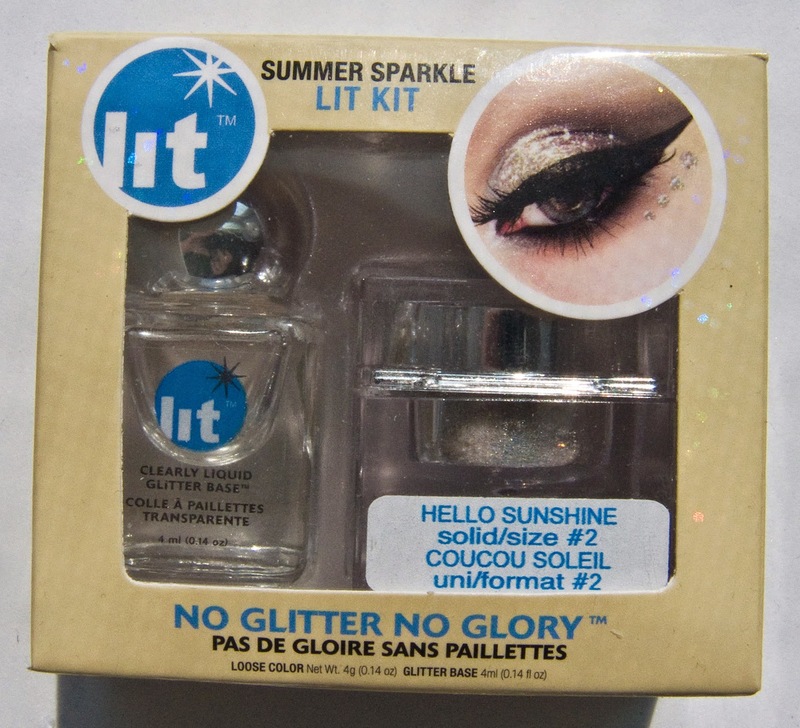 Lit Cosmetics Lit Kit in Hello Sunshine sell for $19.95US and $21.95CAN at Sephora. I will be reviewing more shades from them in the future but since this a Sephora Exclusive shade I thought I do the "KIT" separately. This is a 2 grade size of solid glitter. This has is really transformative quality as I can see it working with a lot of looks because of the white but warm tone. 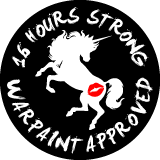 This one is the solid formula/version which means I have a lot of reflection but no transparent pieces. 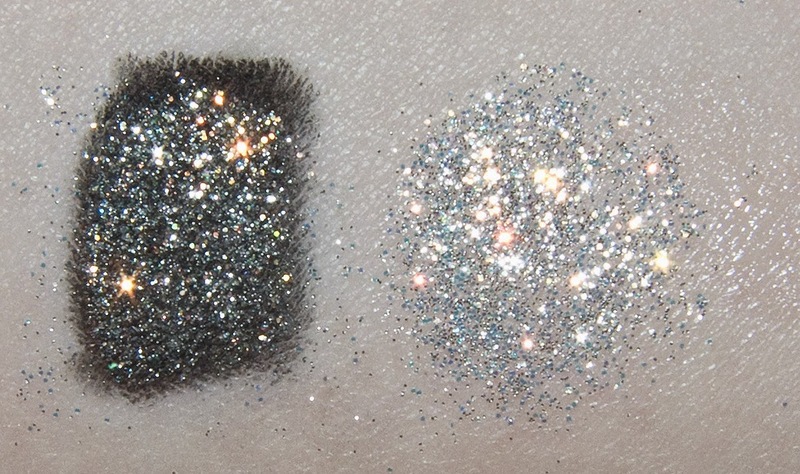 "Clearly Liquid" Glitter Base is a clear liquid that dries down matte and thinly. It really adheres to the to glitter as well. When you mix the glitter with the based you get a true fallout proof cover of the glitter. Hello Sunshine is soft creamy porcelain and white silver glitter with a colour shifting gold/orange. 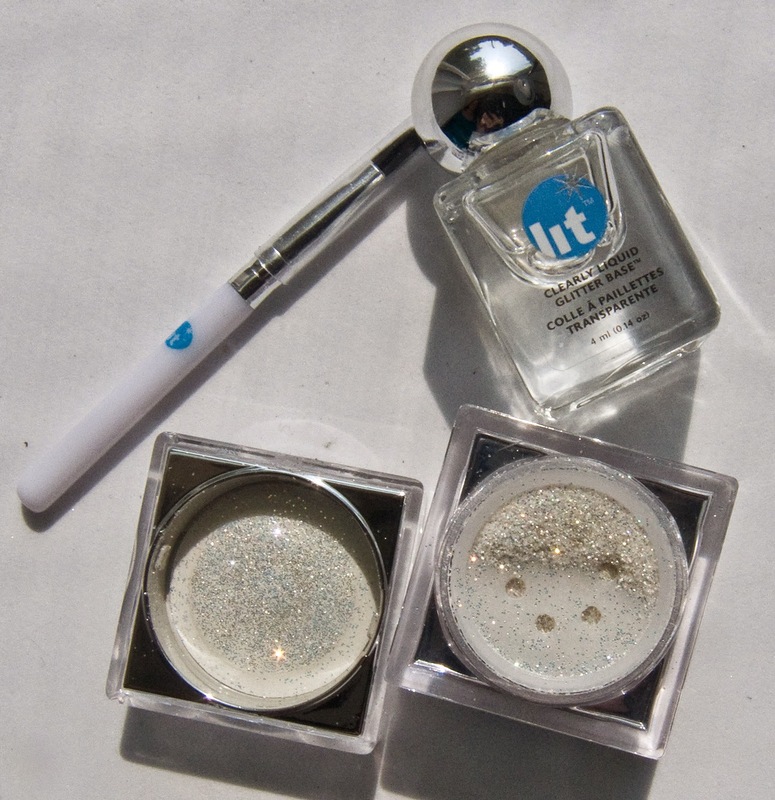 Packaging: Plastic square stackable jars with a sifter for the glitters and glass jar for the "Clearly Liquid" Glitter Base. I have to say I love Lit Cosmetics for a few years now. 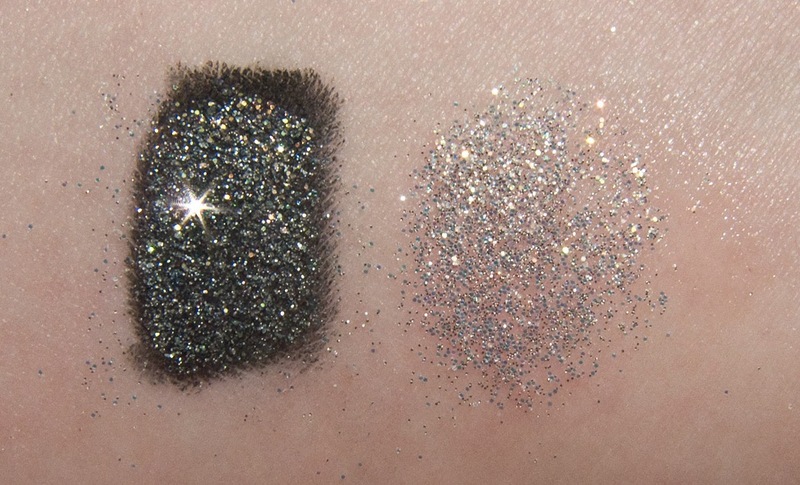 Their "Clearly Liquid" Glitter Base is the best on the market and this glitter shade in general, I can see a number of people using it, as it is a universals shade to work into any look.